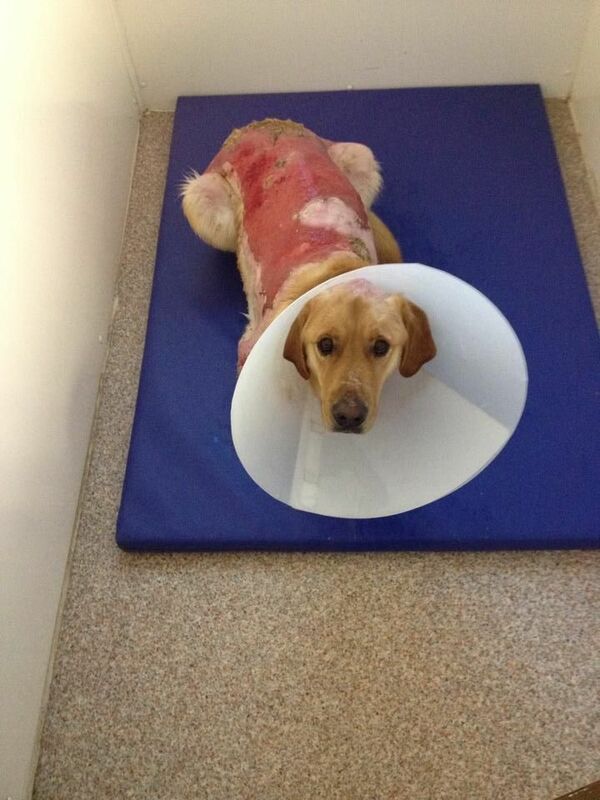 A dog burned in a house fire three weeks ago is in need of some help. Edison, a two-year old lab, was surrendered to the Park Hills Animal Hospital by his owner. The dog is being treated there. The hospital reports via its Facebook page that Edison needs lots of medication and care over the next few months. Once that is complete, the dog will be made available for adoption. A worker at the hospital told WLWT that Edison is undergoing laser treatment and medicated baths. The hospital is seeking donations for those who wish to help cover the costs of Edison (also known as "Eddie")'s treatment. Call 859.581.5200, email [email protected], or visit Park Hills Animal Hospital at 1555 Dixie Highway if you would like to help.